American Association of Feline Pracitioners (AAFP) is a professional organization representing feline practitioners who are passionate about the care of cats. The AAFP is dedicated to advancing the field of feline medicine and surgery by setting the standards of feline care through the publication of practice guidelines, position statements, and by providing continuing education. The AAFP Caring for Cats page has excellent information about adoption, parasites, toxins, environmental needs, senior care and more! Go to the AAHA Pet Owner page for great articles, blogs and the AAHA Pet Health Library! The American Veterinary Dental Society (AVDS) was founded in 1976 for the purpose of creating a forum–a forum for advancing the knowledge, education, and awareness of veterinary dentistry among veterinarians, students, and the public. Boasting a truly international membership, the AVDS is the largest organization of veterinary dental professionals in the world. Membership in the AVDS is open to any veterinarian, dentist, hygienist, technician, or individual with an interest in veterinary dentistry. The American Veterinary Medical Association (AVMA) established in 1863, is a not-for-profit association representing more than 88,000 veterinarians working in private and corporate practice, government, industry, academia, and uniformed services. Structured to work for its members, the AVMA acts as a collective voice for its membership and for the profession. Their vision is to be the trusted leader in protecting, promoting and advancing a strong, unified veterinary profession that meets the needs of society. 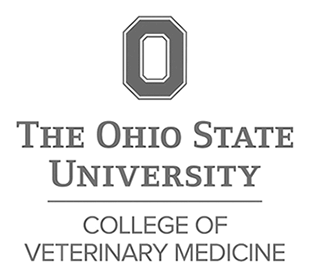 The mission of the Association is to lead the profession by advocating for its members and advancing the science and practice of veterinary medicine to improve animal and human health. AVMA Public Resources is a great place to go for information on pet care, emergency care, veterinarians and the veterinary field and much more! The Companion Animal Parasite Council (CAPC) is an independent council established to create guidelines for the optimal control of internal and external parasites that threaten the health of pets and people. CAPC provides a wealth of information for you and your pet including a US Parasite Map showing where parasitic diseases are prevalent and a Parasites, Prevention and Control page to help you keep your pets safe from parasites and their diseases. Cloud Nine Training School for Dogs is recommended by Pet Crossing for all your dog training needs. Cloud Nine uses positive, motivating techniques and methods. They have obedience training from puppy classes to Canine Good Citizen preparations and evaluation, as well as agility, nose work, tricks, therapy dog training and the all important problem behavior help. The Cornell Feline Health Center is a service of Cornell University’s College of Veterinary Medicine. The Cornell Feline Health Center is dedicated to improving the welfare of all cats by supporting research on diseases and conditions that affect cats and by providing information to owners, breeders, and veterinary professionals worldwide. Health topics include behavior, feeding, vaccines, infectious disease, health hazards and medication. Dr. Ian Dunbar is a veterinarian, animal behaviorist, and dog trainer who received his veterinary degree and a Special Honors degree in Physiology & Biochemistry from the Royal Veterinary College (London University) plus a doctorate in animal behavior from the Psychology Department at UC Berkeley, where he researched the development of social hierarchies and aggression in domestic dogs. Pet Crossing highly recommends Dr. Dunbar’s behavioral and training books and videos. You can also download or print pdf formatted documents offering extended information on many of the topics. All of this information is also available in Spanish. International Cat Care, formerly known as the Feline Advisory Bureau (FAB), is a charity passionate about improving the care of all cats. International Cat Care’s vision is “All cats, owned and unowned, are treated with care, compassion and understanding.” Their mission is to engage, educate and empower people throughout the world to improve the health and welfare of cats by sharing advice, training and passion. Pets Matter is a variety of blogs managed by AAHA: Accreditation, News, You and Your Vet, You and Your Pet and Pet Health. Stop by this page to peruse through the interesting articles, find answers to questions about your pet, and read the latest on pet health care. Pet Microchip Lookup is a service provided by AAHA. It is NOT a microchip registry—it is an internet-based application to assist in the identification of those registries on which a particular microchip is registered, or otherwise provide the chip’s manufacturer. The tool works by searching the databases of participating companies. It will not return pet owner information contained in the registries’ databases, instead it will identify which registries should be contacted when a lost pet is scanned and a microchip number is identified. Pet Nutrition Alliance (PNA) provides a place to find answers for almost any nutritional concern you have. We offer the largest science based pet-nutrition library on the web to assist the veterinary team. Check out the content our editors have hand-selected for you. This section includes resources for the latest trends, concerns, and tools for pet nutrition. PNA’s Food Calculator is a great tool to see how much you should be feeding your pet! Petly is your pet’s story in one place! It’s fun, it’s yours, and best of all, it’s free. Photos, health information, appointment reminders, request med refills and much more! Dr. Sophia Yin was a veterinarian, animal behaviorist, author, and international expert on Low Stress Handling. Her “pet-friendly” techniques for animal handling and behavior modification are shaping the new standard of care for veterinarians and petcare professionals. She passed away in September of 2014 but her work and legacy lives on. Pet Crossing highly recommends Dr. Yin’s behavioral and training books and videos. VetSource is an Online Pet Supply Store. Order your prescription medicines, prescription food, and parasite prevention for your dogs and cats to be delivered to your front door! Prescription requests are emailed to Pet Crossing for approval and then shipped directly to your home. Remind Me repackages your pet’s medications so they arrive monthly at the time they should be administered. Autoship: Have your favorite pet food, supplies and necessary medications automatically delivered right to your door. When you sign up for AutoShip, you can select a delivery schedule for your Repeat Delivery – from one to twelve weeks. You can also choose to have your order shipped immediately or shipped at a future date. Your settings will be saved. We’ll even send you an email to remind you when your delivery is on its way. No guesswork. No forgetting. Great for heartworm and flea & tick monthly prevention! Savings! VetSource often has rebates from manufacturers, free shipping on certain orders, discounts for autoshipping, and Rimadyl Rewards program to name a few. 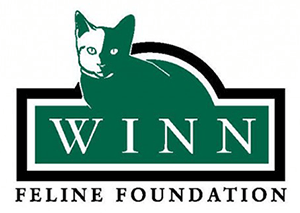 Winn Feline Foundation’s Cat Health Library supplies cat health information from experts, including the results of grants for Winn-funded cat health studies. Remember, your own veterinarian is always your best source for information on your own cat’s health. Winn Feline Foundation is dedicated to the health and welfare of all cats. Winn Feline Foundation aids research directed toward the health and well being of our feline friends. Besides feline-research advocacy, we aim to educate the public and raise awareness about cat health issues through various media outlets.